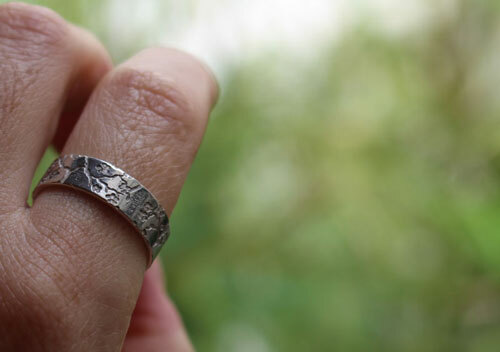 Misoi means "fidelity" in Japanese. 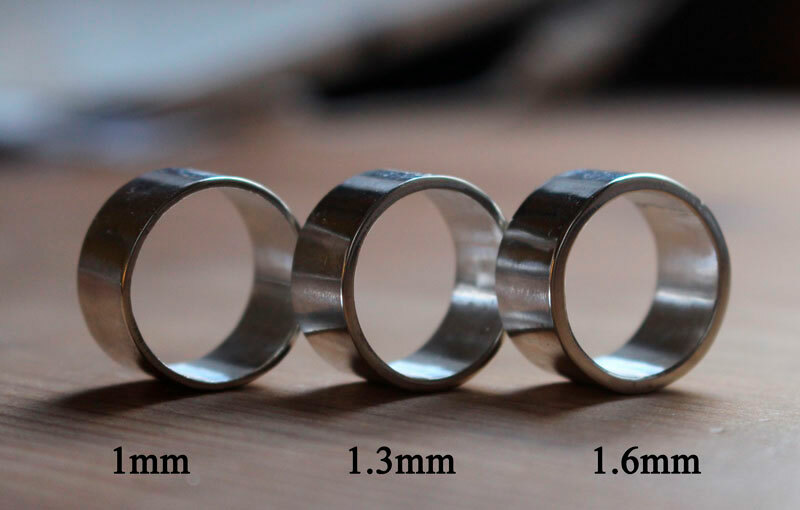 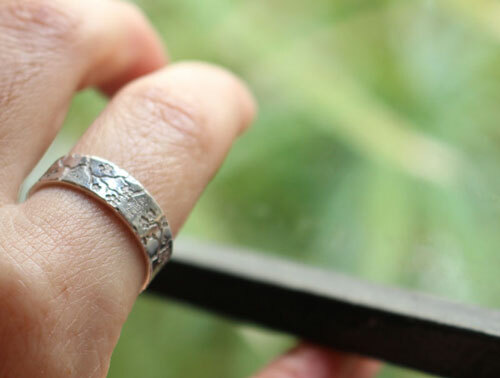 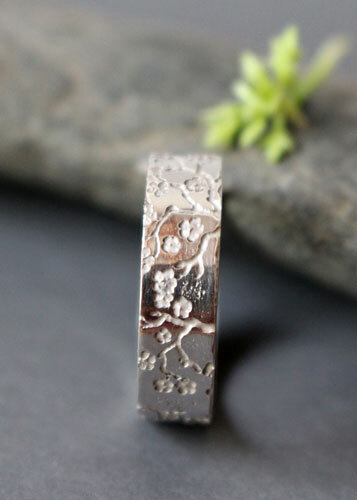 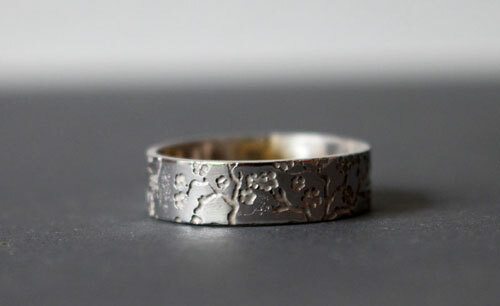 This ring is engraved with a pattern in the Japanese style with small cherry blossom branches. 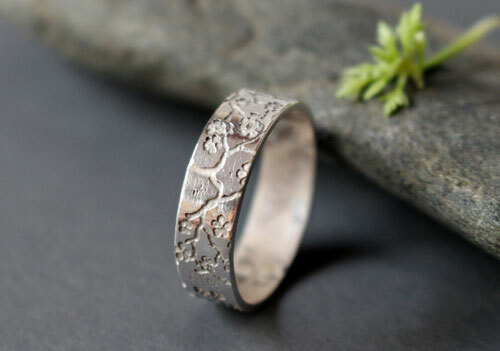 It is a soothing and delicate pattern and it will be the ideal gift for a person who likes the Japanese culture of calmness and tranquility. 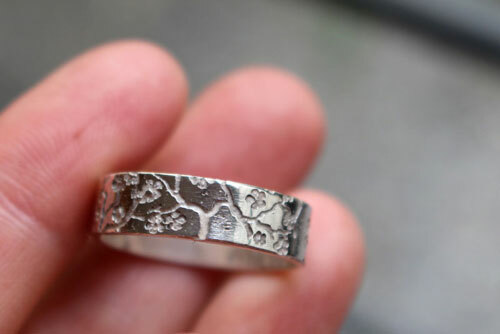 Tag: ring, sterling silver, cherry, tree, cherry blossom, cherry tree, nature, botanical, wedding ring, love, promise ring, japanese, unisex, flora, asia, asian, country, japan, flower, spring, fidelity, branch, country wedding, Japanese wedding.